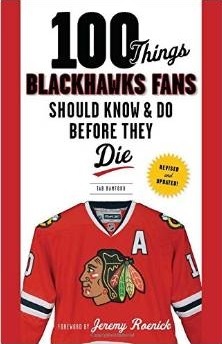 Chris Kuc asked the question so many Hawks fans have wondered over the last 20 months, and Patrick Sharp answered it. Would he move back to center? Read the full story from Kuc here. 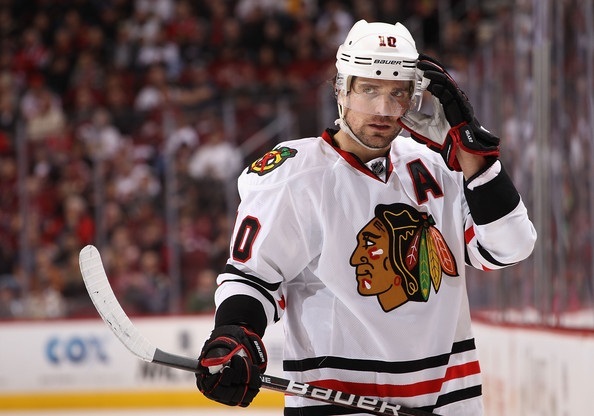 As Sharp points out, the Blackhawks have an abundance of centers on the NHL roster right now, and are adding Michal Handzus to the mix on Thursday night. But Sharp is crystal clear in his comments to Kuc that he would skate at center if asked. I find it hard to believe that it’s that cut and dry. Maybe I’m reading something into it that isn’t there but Sharp seems to couch his answer with “we have four centers and guys who are sitting out”. Is he insinuating that that he shouldn’t have to play 2C because any of those other guys are capable … “but I will if they ask me to”. I can understand that he doesn’t want to come across like he feels he SHOULD play center because that would be disrespectful to the other guys, so in that sense he’s being a good teammate. But it just seems a little hollow that for the 3rd year since the Cup team there has been a parade of players tried at the position and yet somehow Sharp never gets moved in there. I’m not a conspiracy theorist by nature, but there seems to be something going on behind the scene with this. It may not even be Sharp who has decided to not play him at center. Who knows? But it sure seems a little fishy. Sharp @center = secret playoff weapon. Don’t want these other teams to get wise to that. If he really will go to 2C then go get the best F out there. But that ain’t happening because he really doesn’t want to play C.
I doubt anyone coming to the hawk. I understand the Hawks need for a 2C but what I don’t understand is how they continuously look over Sharp as an option. Sure he’s more comfortable playing LW and they like him in that spot but last time he was at center something special happened (2010) and guess who was on his right side…. 88. There’s no reason to say Sharp can’t get it done as the Hawks 2C if necessary and we’re talking about a total team guy that will do anything to win. He did it in 2010 and I’m sure he’ll be fine doing it again in 2013. What’s not to like about a 2nd line of Hayes-Sharp-Kane? I don’t like SB’s conservative style but this is one time I’m with him not going all out and overpaying the price to get that middle of the road 2C that is out there. Sharp at center is definitely something that I feel like the Hawks should be discussing internally. No question 10 is a stand up guy and great teammate. He’s also a fan favorite and for very good reason. I too wonder if its as simple as saying ‘Sure I would’. I think he would prefer LW and rightfully so. It’s just so hard to accept, for me, that we’ve been subjected to this storyline for years on end now. Somehow I think the core group begins to wonder wth is going on here? Why does it always have to come down to this?? This lack of a 2c. Not that the players would publicly complain about it. After all, this isn’t the NBA or NFL. I just want him back on the ice soon. The lines on the night of Game 6 were 82-19-81, 16-10-88, 33-36-32, 55?-11-22. Going back to a set up of the top 3 Cs being 19 10 and 36 could be something to think about. It’s doesn’t have to be done but should be thought about. I don’t know if Shaw is built to handle that grind and matchups against the other teams top dogs in the playoffs. Plus he’s brutal on faceoffs. Why not put him on wing with Bolland and let them piss people off together? Hopefully the team stays healthy and everything can stay status quo. Not worth messing with something that has worked all year. I love Shaw and he is a very good player. However, you may be on to something Mike. Shaw has been horrible of late on draws. I think they floated a stat during the game against Preds that Shaw was something like 3 of his last 15 on draws. Not good at all. Shaw brings a lot to this team whether it is at the dot or on the wing. We now have an abundance of C’s (I know that is contrary to popular belief cause some don’t think Zeus can play. We’ll see). If Shaw helps the team on the wing we all know he’d switch yesterday. Great team guy and will do what he is asked to do. When talking about these trades, consider what the Rangers and Jackets have done to/for each other in the last 12 months. To CBJ: Gaborik, Dubinsky, Anisimov, Erixon and 1st round pick. We obviously won’t know who won the sum of those two trades until the end of June, but that’s a LOT of talent going both ways.